Hot off the press, I have 100 copies of my new book available now! (Before the official release date March 2016). If you would like to purchase a signed copy I can mail it to you or as a gift to someone else. The cover price is 29.95. I will ship it priority mail for 35.00. Let me know who to sign the book for and if you want a gift note included. 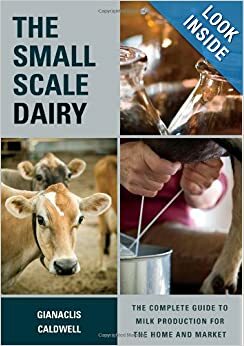 In the book I take the approach of teaching cheesemaking as organically progressing lessons – each cheese recipe adds a layer of information, technique, and ingredients. 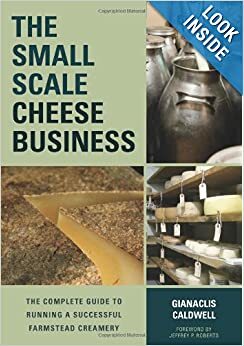 By the time you are through, you should truly understand how to make almost any cheese, and be ready to move on to the deeper science contained in my previous book, Mastering Artisan Cheesemaking (Chelsea Green Publishing). You can pay via Paypal or check. I would love one of your signed books! If you can mail it to me, I’ll have it as a gift for my partner for Christmas. How do I go about paying through PayPal? Also, is Julep still available? I’m having some trouble rehoming my 2 goats but I’d really like to get her if she’s not taken. Hi Nicole, I have set Julep aside for you. Do you want her bred? Email me with your address and I’ll get back to you with the other details. I would love to have a copy of your new book! Where do I purchase one? Hi Rhonda! You can only get it from me right now. Send me your address and pay via paypal or send me a check. Yes please! I’d love one signed to Amelia. I can PayPal tonight. Send me your address too, Amelia! Thank you! Thrilled to get my hands on this one so soon! I just made pmt with paypal. Just started really reading some of your other books and blog. Such great information! I would love two of your new books! One signed to Meghan the other just signed -not sure who’s getting it yet! HI Meghan, I am working on a paypal button, or you can search for my email on paypal, gianaclis @ pholia farm .com and I will get the payment that way. send me your address too! Thanks!! Thank you! I would love one, signed to Jamie, and will pay you via paypal. I have good news! I’ve found homes for my 2 goats and am thrilled that I can pick Julep up next month along with the cookbook. Just let me know which dates/times work for you and I’ll be there. Do you need payment in advance? If so, just let me know and I’ll be happy to send it to you. Our small farmstead dairy is a reality, in part because of your passion for the creation of cheese. We purchased your book “Farmstead Creamery Advisor” before we designed the plans for our creamery. After building, we use your book “Mastering Artisan Cheesemaking” as a reference while crafting our cheese. While we continue to learn from your blog, we can’t wait to dive into the new book for more information! Thanks for being a strong segment of our invisible support system! We would be honored if you could sign a copy of your book before sending. I am now married and the name is Julie Zupan. I bought this for my husband– so if you could address it to Lionel It’s for his birthday. and a gift card would be great.